Hi y'all! Totally been slacking on getting these up in a timely manner, but I;m making up for that right now and I'm going to try my best to not let time get away from me again. After the jump is a DOUBLE update so be warned there are about 100 pictures in this entry. Hi guys! I know I am failing big time at getting more than one up a week with these. I'm not making promises this time, so yeah, I'm gonna try, but we'll see if I get to it. I'm trying to force myself back into blogging both here and my nail blog so that I'm back to posting on a regular schedule cause I fail at doing it on both blogs. But anyways. Hi y'all! 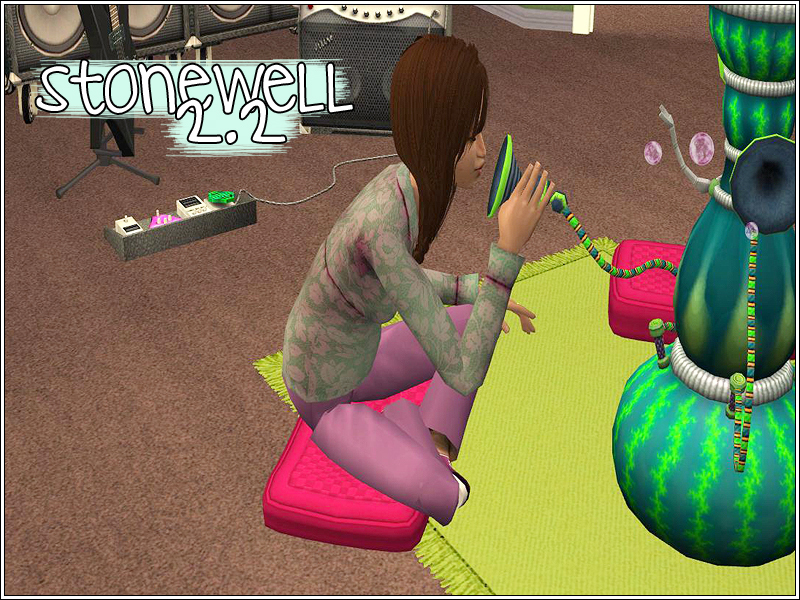 Time for another Stonewell update! I meant to get more than I did up last week but then I just.. didn't. Sorry about that! I will definitely try to get at least two posts up this week so that I can try and get caught up to where I am in game! Now I'm up to all generation 4 babies born and the youngest are toddlers. So getting close to gen 4 taking over! Last Time: Sterling took over as heir for generation two, and met a few people walking by their house. Most of which she hated just like she does everyone else. (What is it with her? 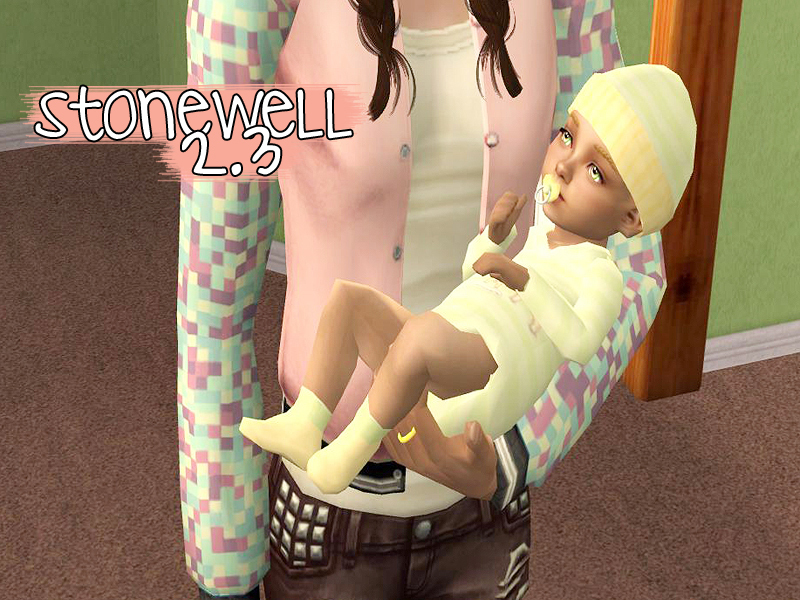 Srsly I was starting to think she was gonna need to marry and have babies with herself because she hates everyone else) But she finally met Freddie and it was an instant sim connection! 2 bolts!! which is like 10,000 bolts for sterling since she has horrible chemistry with everyone else. I'm rambling. Back to the point. There were a lot of promotions that happened last time, Freddie moved in and he and Sterling got engaged. Everyone wanted to hang out in the love tub... alone and in the snow. Sterling got knocked up and Freddie magically learned parenting from a cleaning book. (WAT?!) And Indie was almost getting old. Okay enough of my rambling! I by no means take complete credit for these rules.. but there were no rules set that I liked ALL of it so I took several different ones, mixed them together, and also made my own tweeks so that I could play my own way. Thinking about starting one of these up soon simply cause it'll let me play different families throughout the challenge. Not just the one like in a legacy. (Not that I can't play more than that one legacy family in the town but you get what I mean.) ANYWAYS. Hi there! 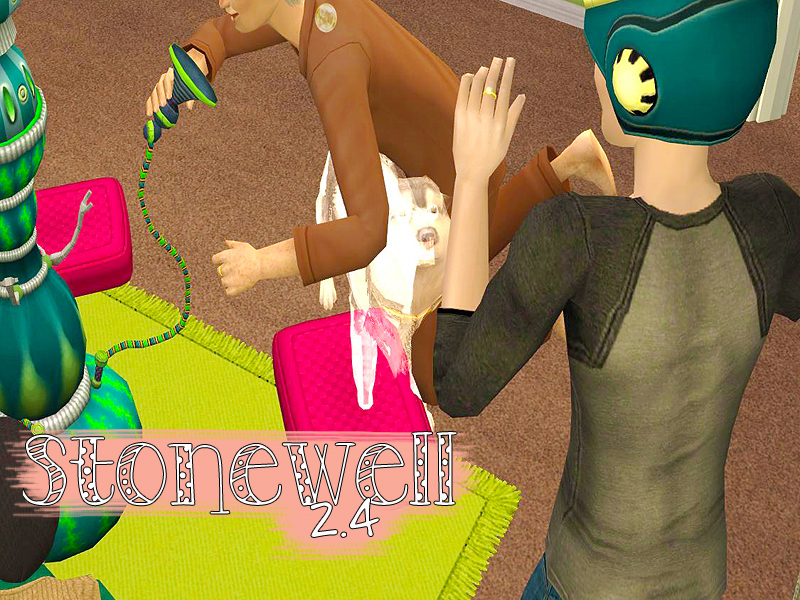 Ready for some more Stonewell antics? We're all set to get started on generation 2! I'm so excited to get these all posted too. So excited! Especially since generation 4 has just been born in game! Yes.. I've played that far ahead. Posting only once a week meant having fewer updates than game play so they've all just built up now. I have several updates that need to be posted so I'll be trying to get out at least 2 a week to try to catch up. But anways..
Last Time: Isaac continued to have mental breakdowns all over the place, Isaac and and Indie beat each other with pillows. A Lot. Sims think it's a romantic gesture? I'm pretty sure thats it. Cause they do it to their spouses ALL THE TIME. Then the kids all aged to teen and I shipped them off to college where not much happened. College years are always boring and yeah.. the college updates most likely will always be rather short or mixed in at the end of an update or something, there's never enough to make one update all on it's own of just college stuff. But anyways. lets get started with Generation Two! Hi y'all! I totally skipped out on posting an update on the legacy last week, that was my bad. I meant to. But I just never got around to it and next thing I knew it was Saturday and no post had been written. I also totally forgot to edit and set up any other posts for last week either though, I will try my best not to do that anymore! I love blogging and writting these updates, I just let time get away from me sometimes. Definitely think I need to start writing up some of these updates ahead of time too though. I'm so far ahead in game play than these updates, I'm about to send generation 3 off to college and start in on generation 4! Which i'm so excited about too! Hi y'all! 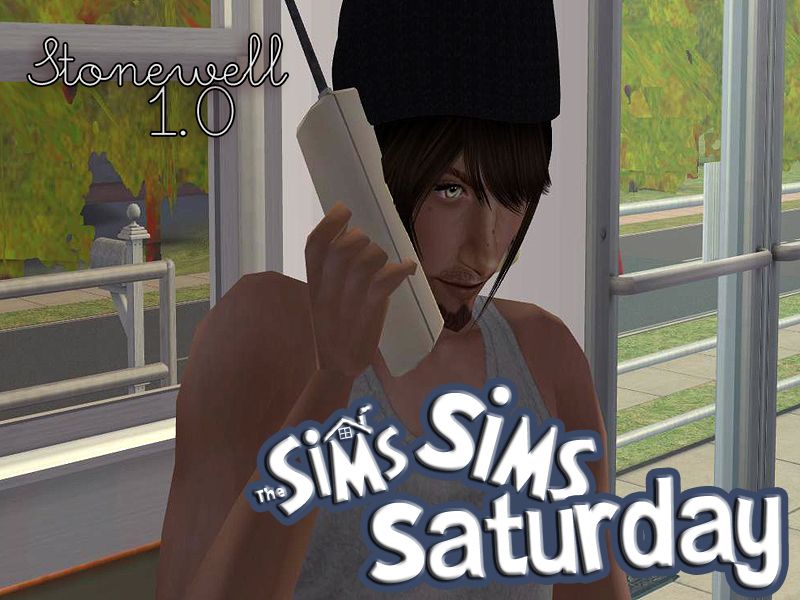 It's time for another Sims Saturday! We're still doing this legacy style too! We're up to the forth updates, and to be quite honest, I think this is the longest I've kept up with any sort of special day on the blog so Wooo for milestones! Anyways, lets get to the update. Last time: Esme grew up, (or was that the time before last time? I don't even know.) And indie popped out an entire litter or babies by letting out his inner wolf. (Four of them. Four little screaming, crying, babies) Four little babies which aged into demanding toddlers. The house was impossible to keep clean, everyone complained a lot, and I'm pretty sure not a lot else happened. Except I left it on the quads birthday so I'm sure you're all dying to see how they grew up... So lets get to it! Hi y'all! 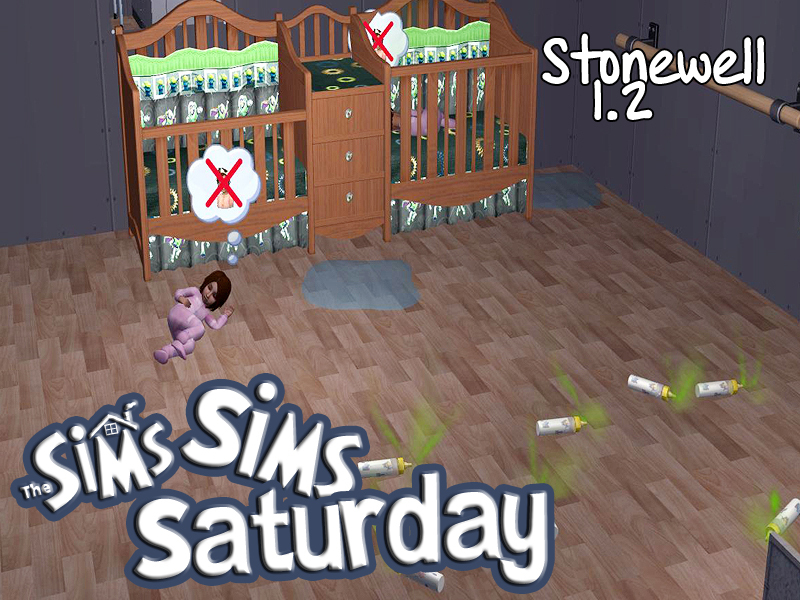 It's time for another week of sims Saturday: Legacy Style! I've been having sooo much fun playing this legacy, it's been a fun challenge with the lack of money (hey Indie got started working a little late.. I had other plans for him that didn't work out) and throwing EVERYTHING they can at me that makes it impossible to keep up. (you'll see one of those in this update) This family y'all... it's been fun! I really hope your all enjoying seeing them as much as I am playing them! Last Time: Indie finished his college years (with a little help from me speeding up the process but shhh) and was generally a huge fail living in a tent on his empty lot (much to his disappointment. He definitely thought he should be given a mansion for finishing uni) he met a few walkbys and eventually ruined my plans for alien babies by refusing to use the telescope for very long. So I went to plan B and Indie married walk-by townie Isaac, and by the end of the last update gave birth to their first daughter together, Esme. And now click the jump to see the next update..
Hi y'all! 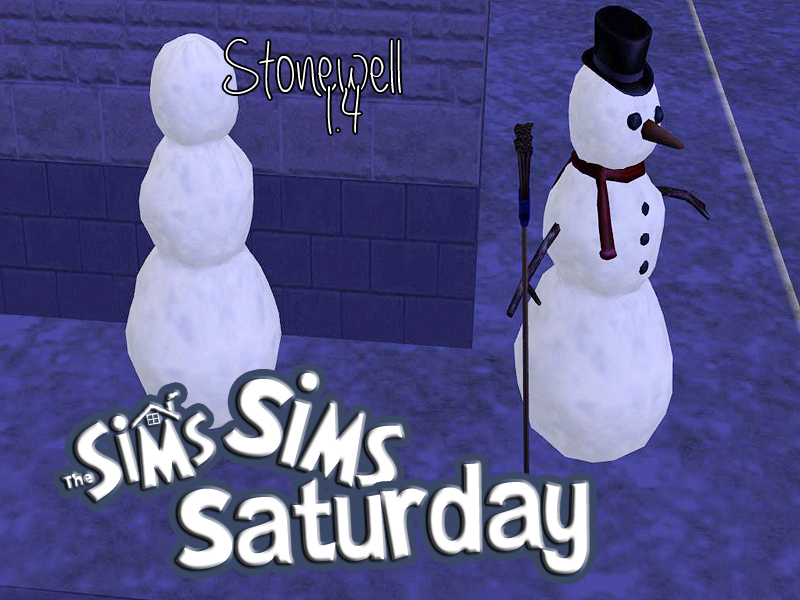 It's time for another Sims Saturday post and another Installment of the legacy challenge. Last time we met Indie, and he started univeristy, turned into a werewolf, and I'm pretty sure some other stuff happened that I can't remember so be sure to check out last weeks post if you need to catch up! And now lets get to the rest of the update! Hi y'all! Today we're gonna do this a little bit different. I thought I'd try this as a legacy type challenge so I've started up a new family for it. 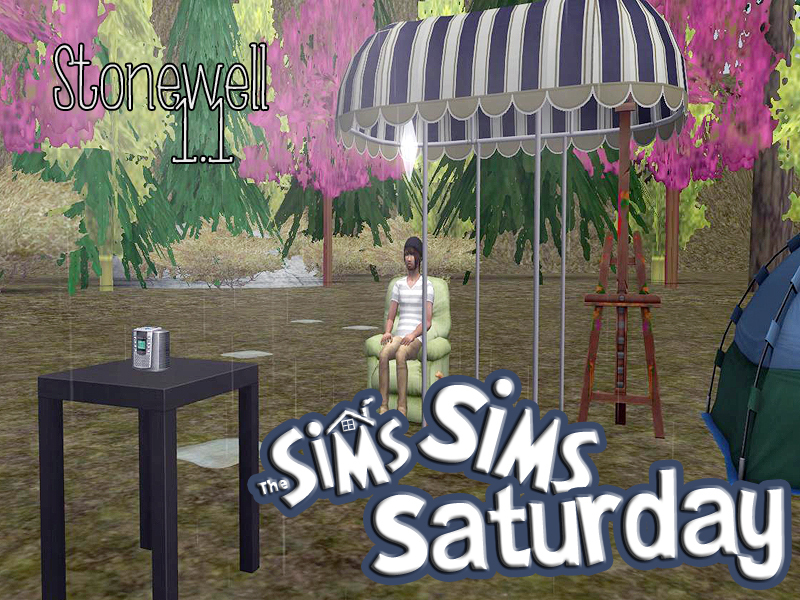 Or rather, as the challenge requires, a single sim to build up the legacy over 10+ generations. There are different versions of the challenge, each adding something new. I just usually stick to a standard legacy, and the main rules I try to stick to are no cheats. They have to work to earn everything they have and build up their legacy from nothing. 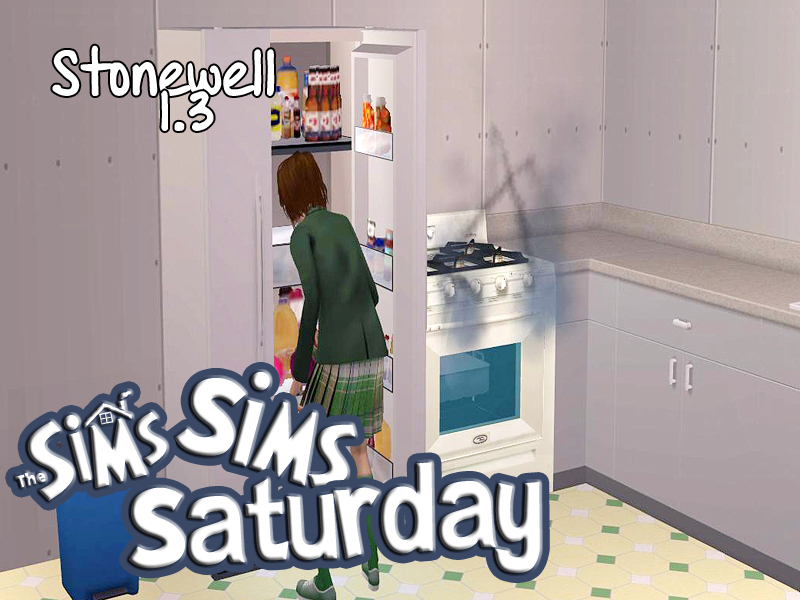 But enough of my rambling, lets just get to the sims stuff! Be warned though, these posts will be much longer. There will be 40-60 images under the jump and I'll try my best to not have them be any longer than that.